Taste the wonder of fenugreek in our Methi Khakhra! A flavoursome preparation, it satisfies your hunger at any time of the day. It not only helps you avoid over eating, but it may also give you a dose of dietary fibre. 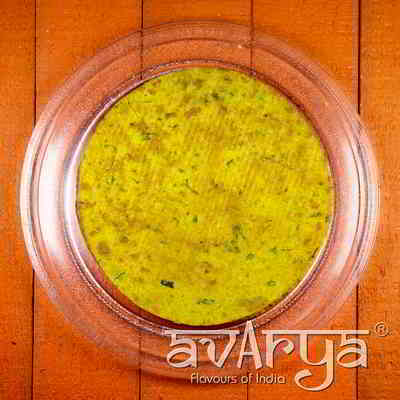 Recommended by Avarya, they are made of great quality and freshness! Methi Khakhra	KR-RG-1156 Taste the wonder of fenugreek in our Methi Khakhra! A flavoursome preparation, it satisfies your hunger at any time of the day. It not only helps you avoid over eating, but it may also give you a dose of dietary fibre. 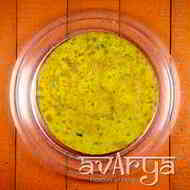 Recommended by Avarya, they are made of great quality and freshness! Wheat Flour, Palm Oil, Red Chilly Powder, Salt & Fenu Greek Leaves. The shelf life of Methi Khakhra is 60 days. Special masala bajri methi khakhras are as tasty as they sound. Dig into a few packs of these to believe it. Regular jeera khakhras filled with the goodness of cumin seeds that adds to the crunchiness and gives you a tasty experience.